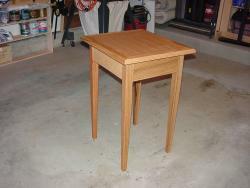 Well, it's the end of the woodworking year for my unheated garage/workshop, but I wanted to knock out one more project. In this case, I wanted to build something with scraps of wood left over from other projects. 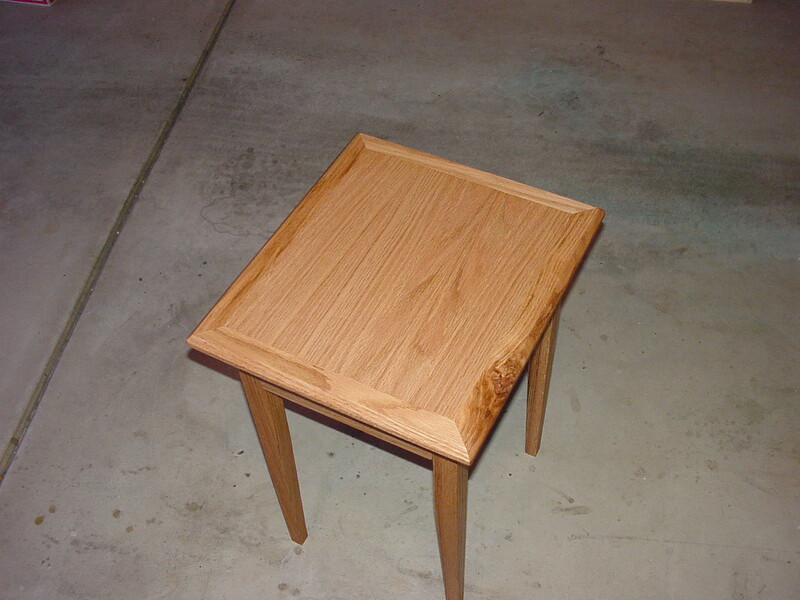 This end table was made entirely with whatever stuff I had laying around except for the oak plywood tabletop which I had to go and buy for the princely sum of $7. 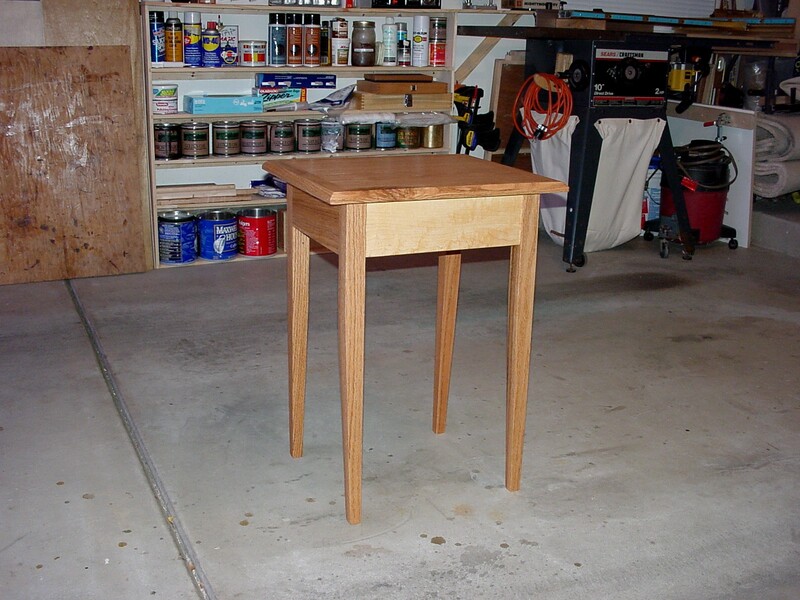 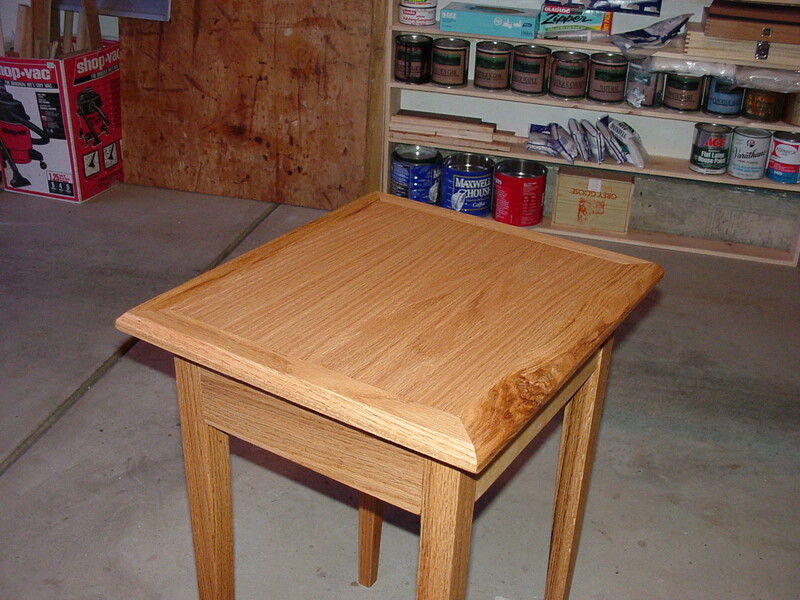 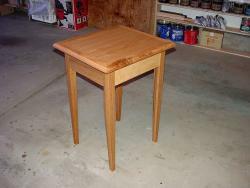 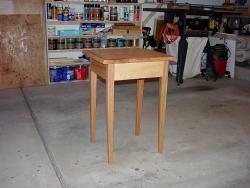 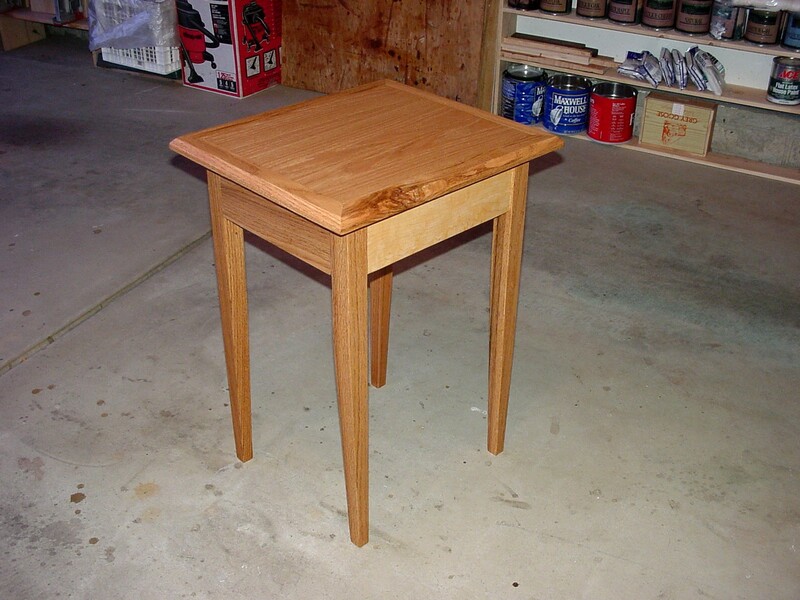 The table is Red Oak and Birdseye Maple. 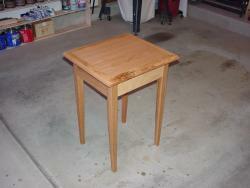 It is sealed with multiple coats of Tung Oil rubbed out to 1000 grit. 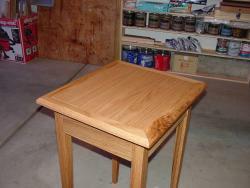 Initial finish was 2 coats of a Beeswax/Turpentine combination followed by furniture wax.